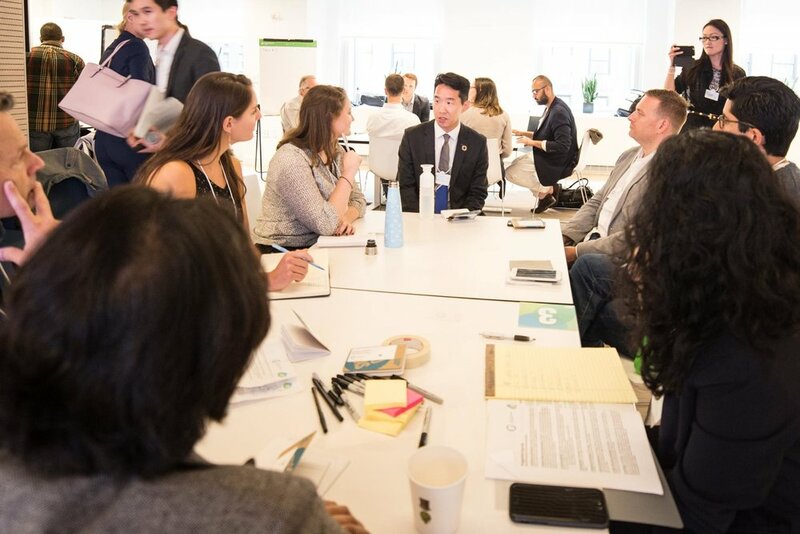 In New York, our program brought together 32 advisors and 6 facilitators for an action packed day of climate impact for 14 entrepreneurs. So, what is a Braintrust? A Braintrust is a one and a half hour session with a facilitator, entrepreneur and 4-5 selected advisors seated around a table. Good advice is formed through strong relationships and trust among participants, so we designed a full day program to generate these. How does the Braintrust work? At the beginning of the day, we create a safe space to facilitate collaborative idea-building among participants. Entrepreneurs present on their startup to the group, including challenges and opportunities. In parallel to the Braintrust, we run specific workshops on common issues faced by the startups. 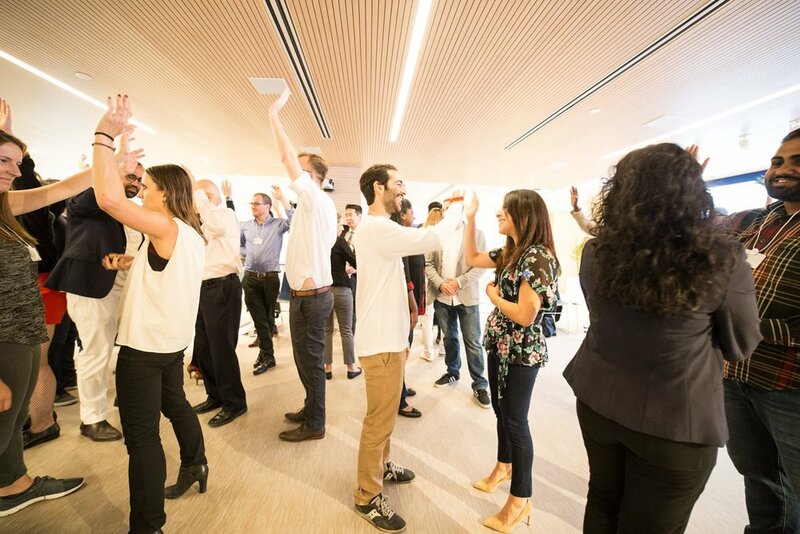 For advisors we provide a workshop for how to become better supporters for young entrepreneurs. We conclude with a “Daring Greatly” session, encouraging vulnerability and commitment, building on the relationships formed during the day and cementing actionable steps to move forward.